Join the Pagan Practice Gathering in welcoming the new moon. 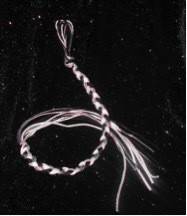 Participants will cast a circle, welcome the new moon, and create a Magical Moon Braid. All adults are welcome. No prior experience with Paganism is required.